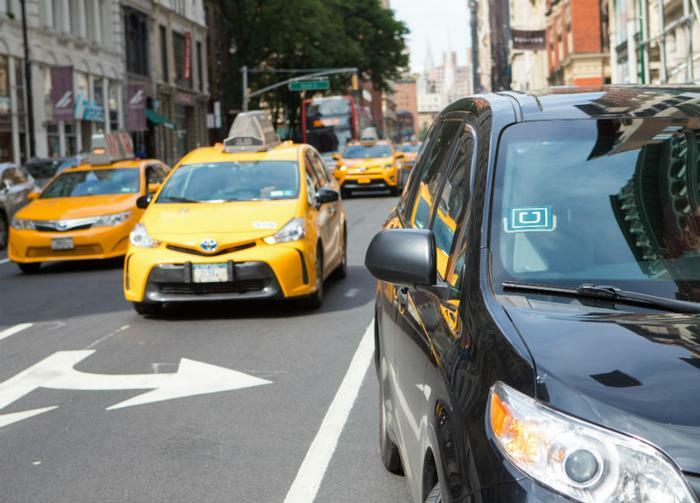 New York City's decision to temporarily cap the number of Uber and Lyft vehicles on the city's streets has unleashed passions on both sides -- from the young people who use ride sharing services and older generations that depend on traditional taxi services. So far, there are about 80,000 ride sharing drivers licensed by the city. That compares to 13,500 yellow taxis and 32,000 livery and "black cars." Taxi drivers have complained that their business has plummeted as they have had to compete with people participating in low-fare ride sharing operations on a part time basis. The New York Taxi and Limousine Commission will study the issue for one year. In the meantime, the number of Uber and Lyft drivers authorized to pick up passengers in New York will remain the same. In an interview with NY1, New York Mayor Bill de Blasio made clear where he stands, decrying the loss of income for drivers as ride sharing has proliferated. "So the Uber business model is flood the market with as many cars and drivers as possible, gain more market share, and to hell with what happens to those drivers or anybody else involved," de Blasio said. "And in the end what that has created is the kind of race to the bottom that has literally driven down wages below minimum wage level for a lot of Uber drivers and even for other drivers." The New York Taxi Workers Association, representing traditional taxi drivers, lobbied for the moratorium and celebrated the city's decision, calling it a major victory. "Our activism created the momentum to regulate app-dispatch companies for the very first time," the group said in a statement. "What happened today didn't just set a precedent for New York City, it set a precedent for the entire world as app companies like Uber and Lyft use technological innovation to return us to a time of sweated labor, destroying lives and livelihoods across the planet." But the millennials who make up a major segment of ride sharing customers were not happy with the city's decision, taking to social media to vent their frustration. African Americans, in particular, did not see the city's decision as helpful them them. Blacks have long complained that New York taxi drivers are less likely to stop for them than for a white passenger. In NYC's legislation capping the number of Uber and Lyft cars on the road, are there any new penalties or enforcement mechanisms for when yellow cabs refuse to pick up Black people?" one man tweeted. Others point out that getting around the city has never been easy and subway problems now make it even harder. In a statement to the media, Uber suggested the city was threatening one of the public's "few reliable transportation options."